Link to the Kindle version. On June 3, 2018, the Florida Times Union reviewed two children's books and "I'd Like A Cat Like That" was one of them. Below is an excerpt from that paper. Included in the June/July 2018 edition of the Jax4Kids paper was a review of our book as well. An image capture from that online edition is below. 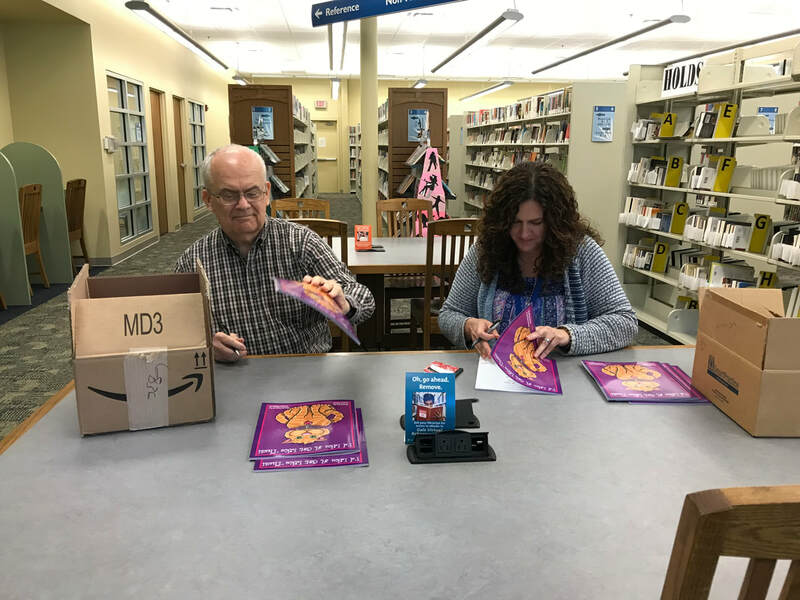 Shortly after our first batch of books arrived, John, Karen and I met at the Argyle Branch library to sign all the copies. We wanted to be able to give some away or have copies ready to sell that had both of our signatures. Three of our books were sold at an auction where a nice little sum was raised for the Military Museum of North Florida. 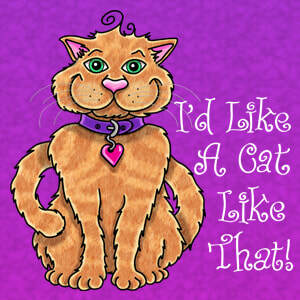 John and I met for lunch this week and posted "I'd Like A Cat Like That!" to Amazon from my laptop, while munching on Panera goodness. It looked as though the process hung up when converting the book file to the Kindle format. It turns out, we have to take care of a few administrative tasks before we can post a Kindle version. But when we checked a couple of days later (last night), the book was available for sale on Amazon. Yippee!! :) We're going to try to figure out what we need to do for the Kindle version as well as for getting the preview of the book "Look Inside" to show up on Amazon. I would definitely like for people to get to sample a few pages so they see what the book is really like, after all, you can't judge a book by its cover! I shared the link on Facebook today and the response has been so very nice. 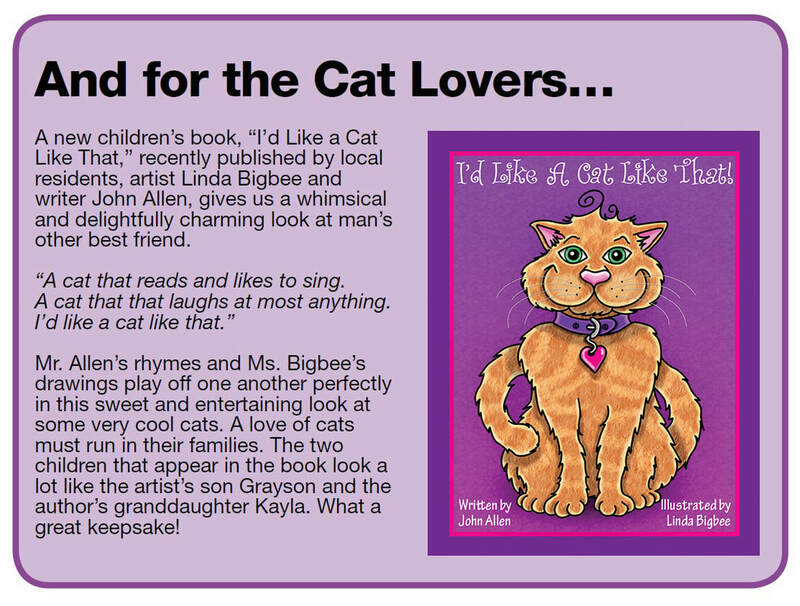 I hope everyone really enjoys reading it and the little ones love all the different cats in the book! Yesterday, there was a lot going on in Jacksonville. It was hard to choose what to do. We had the World of Nations Celebration in Metropolitan Park, the Veg Fest in Riverside Park, Jacksonville Science Festival at Friendship Fountain and free admission to the MOSH, and the Jax Book Fest at the downtown public library. We attended those last two. It was fun to see all the budding new scientists and get inspired by their enthusiasm! At the Book Fest, I met with a few other writers and illustrators, purchased a couple of books, and learned about the Florida Authors & Publishers Association, Inc. (FAPA). It looks like an organization that could be very helpful for beginners like John and myself. Their website is myFAPA.org. Membership is reasonable and looks like they offer a lot of services and benefits that would help those interested in writing and publishing. Time to start tracking what we are doing with our books.